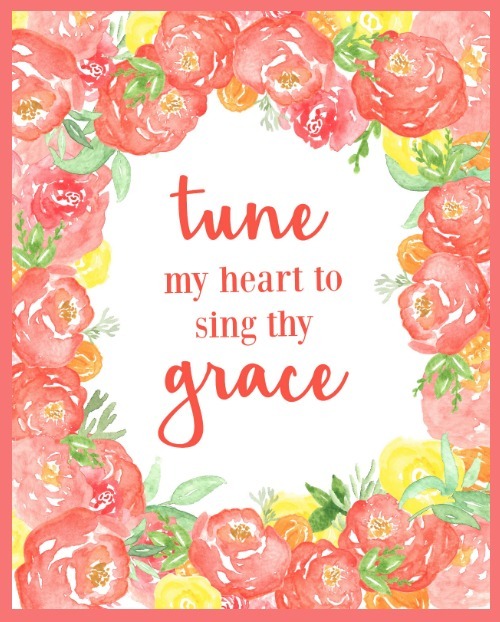 FREE Tune My Heart To Sing Thy Grace Printable! 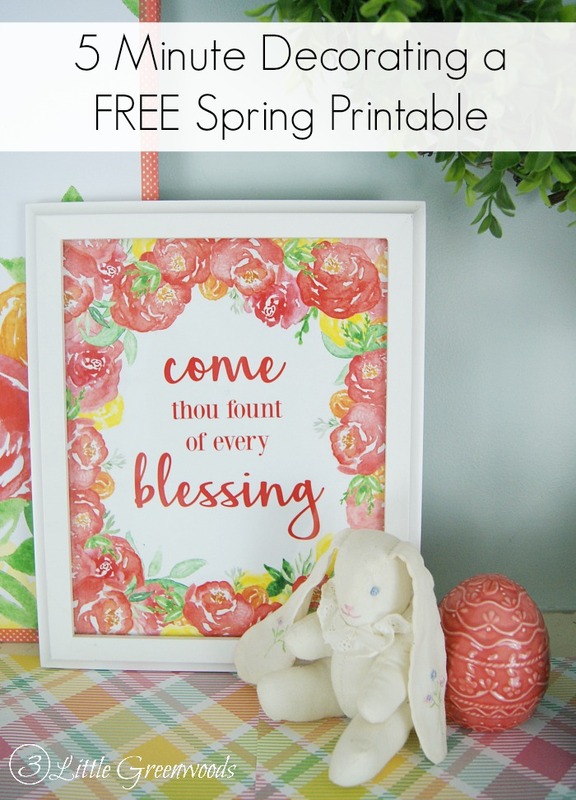 Add a touch of spring to your home easily and quickly with these beautiful hymn printables. 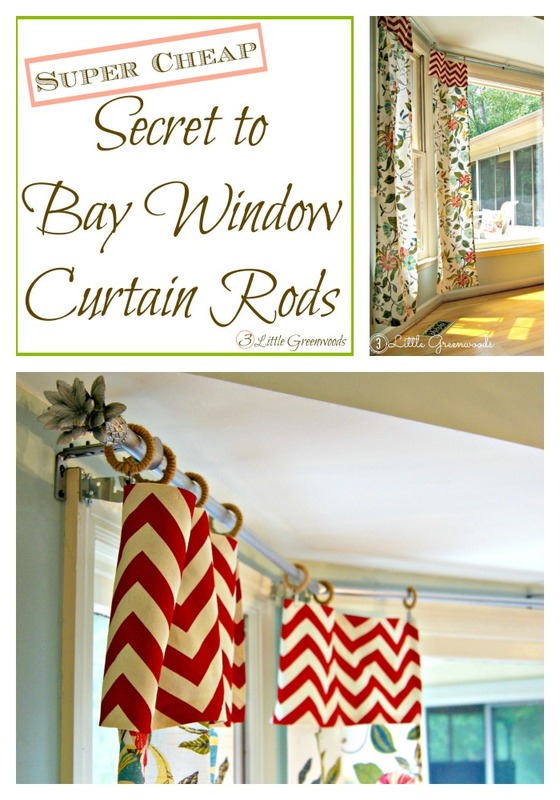 Simply grab a frame and add a print in less than 5 minutes! 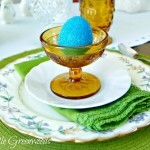 Each Spring when Easter rolls around I can’t help thinking back on my childhood. I see flashes of pretty pink dresses, shiny patent leather shoes, and straight backed church pews. 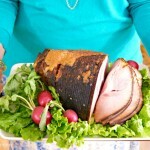 And in my mind Southern Baptist church music begins to play. 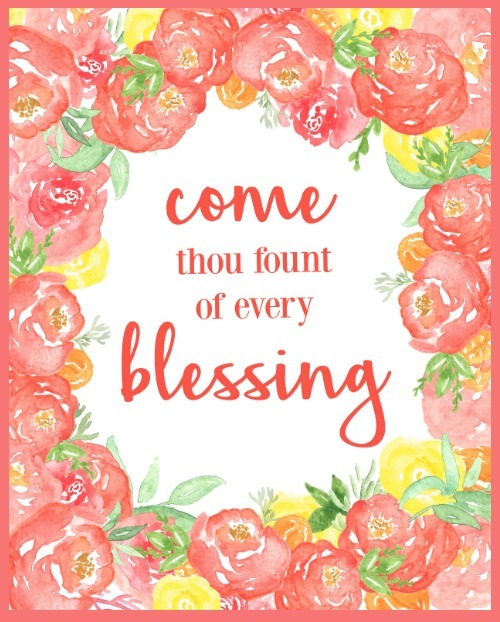 The hymn “Come, Thou Fount of every blessing” is the first one I start to hum. 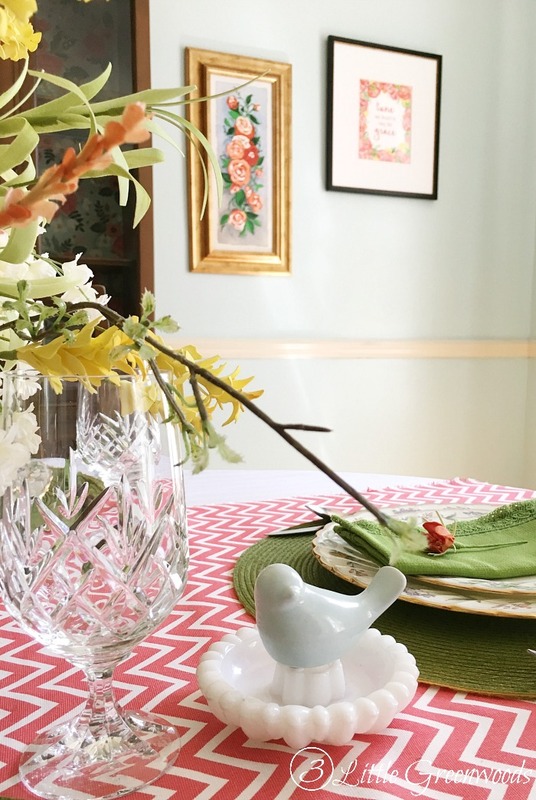 It’s so dear to me that I created two printables for home decorating. 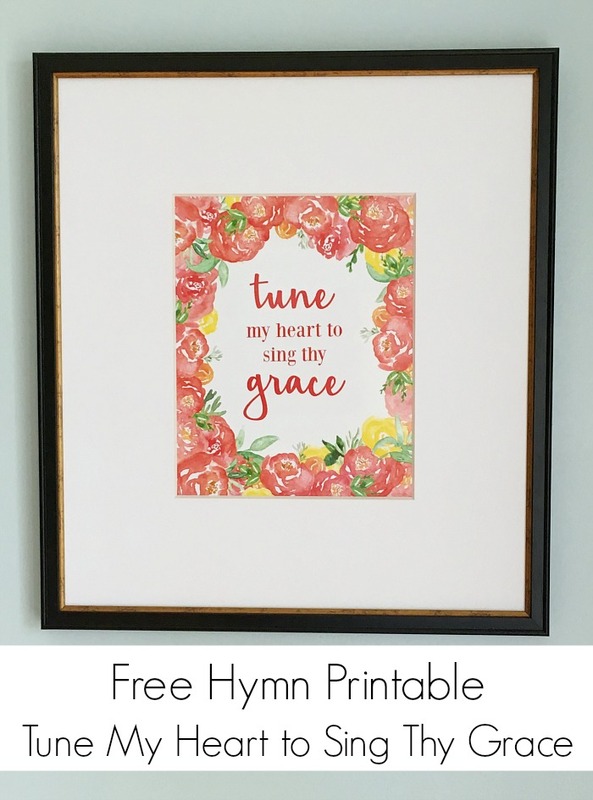 You may have already spied the “Tune My Heart to Sing Thy Grace” printable in the $100 Room Makeover all about Dining Room Makeover Ideas on a Budget. 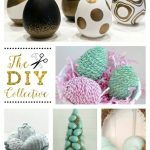 It fits in perfectly with the coral color theme and the upcycled thrift store artwork beside it. Of course, one verse leads to another so I had to create another one for the living room. 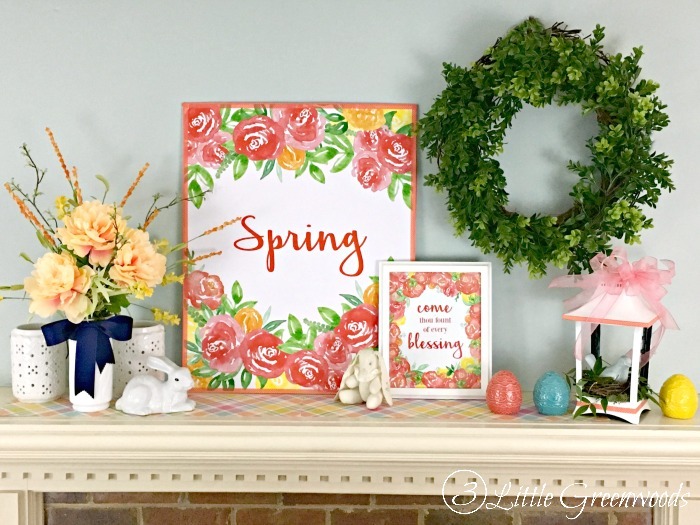 The “Come Thou Fount of Every Blessing” printable was nestled into the Spring Mantel I shared several weeks ago. 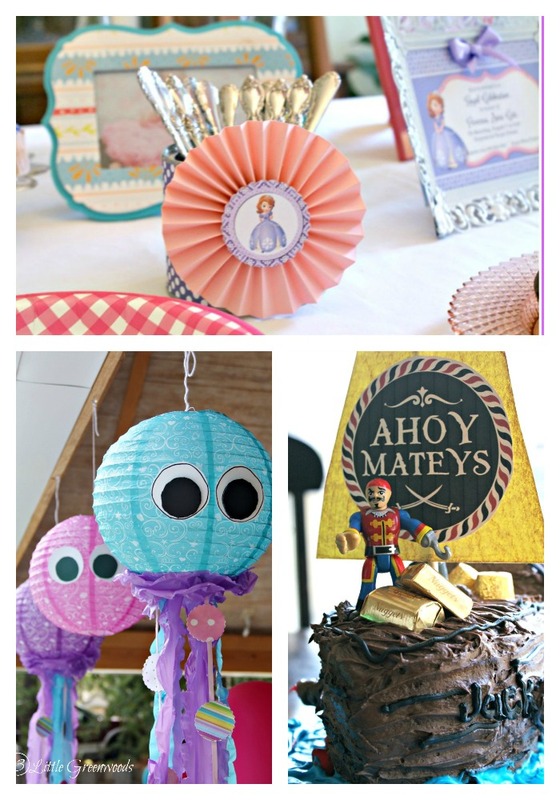 Click on the image below to instantly download the printable. 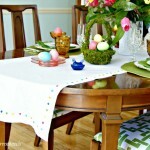 Now if you are like me you won’t be able to see the first printable with humming the next verse. 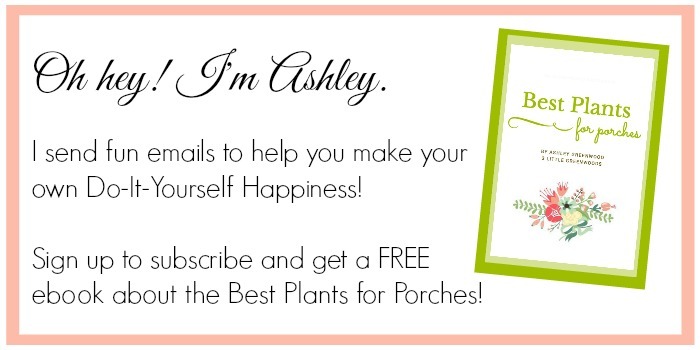 So do yourself a favor and download both of them to use in your Spring decorating. 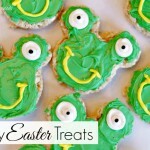 Pin this now so you don’t forget it later! 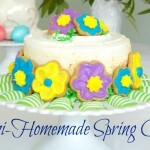 Simply click on the link below for an easy pin!